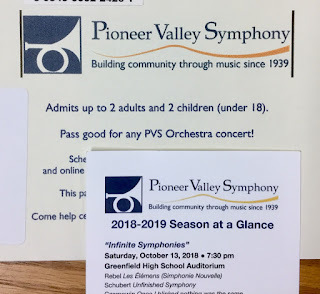 Pioneer Valley Symphony generously donated a pass to our library for the 2018-2019 season! It admits up to two adults and two children (under 18) to the six programs. Please stop by during library hours or call to inquire about availability. We are limiting use of the pass to once per household per season to try to give as many families as possible an opportunity to enjoy a show. 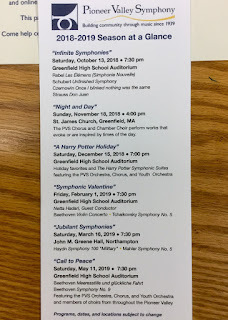 Visit the Pioneer Valley Symphony for dates, times, and locations of the performances. 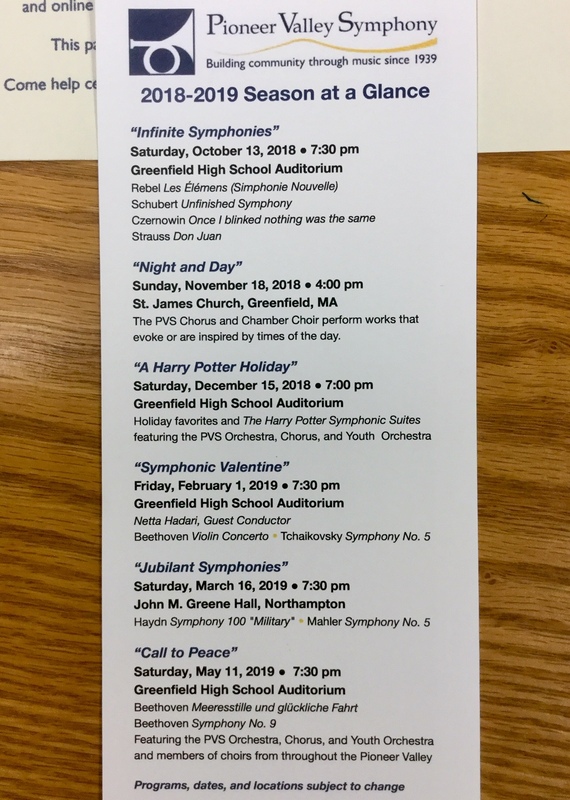 The Pioneer Valley Symphony Youth Orchestra will perform two concerts this season, free and open to the public.